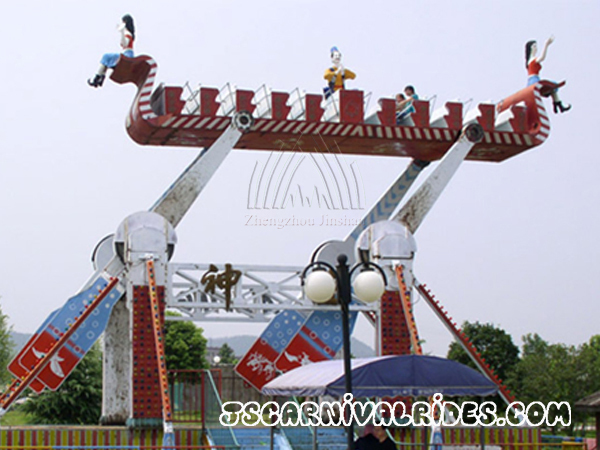 Large amusement equipment is very fun and exciting, which can help people to vent pressure of modern life and work. Today Zhengzhou Jinshan Amusement Equipment Machinery Co.,Ltd. 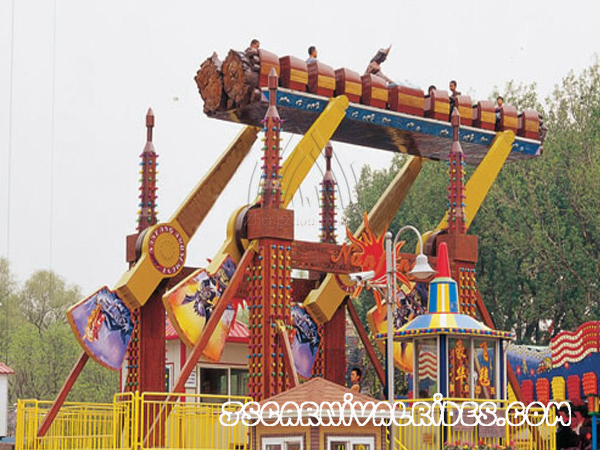 recommend a very exciting large amusement equipment to you-the Arabian flying carpet ride. We all know Aladdin and also know that he has a magic flying blanket. Aladdin ride on the magic blanket can not only walk to many places, but also bring him flying to the sky, which make so many children very envious. So do you want to experience of flying to the sky by riding on a magic flying carpet? Then the Arabian flying carpet ride is just right for you: a strong function that 360 ° free rotation, which directly bring you to the Heaven from the ground up to only 15 seconds. Isn’t it feeling very exciting and thrilling? Such amusement equipment that challenge the gravity is undoubtedly the most screaming products. Especially when it suddenly lift to the sky, straightly to the altitude of 7.5 meters, absolutely shocked and you will feel like that you are out of the control of the earth. The Arabian flying carpet ride is just such a large amusement equipment that with unique charm. It is its unparalleled sense of excitement and thrilling that attract so many tourists. What are the benefits of operating large amusement equipment? Prev： How to Extend The Lifespan of Children Playground Equipment? Next： How do Children Dress When They Play Amusement Equipment?